LEVEL Furnished Living specializes in luxurious furnished apartments, perfect for short or long-term stays. All guests and residents have exclusive access to the 37,000 sq.ft. 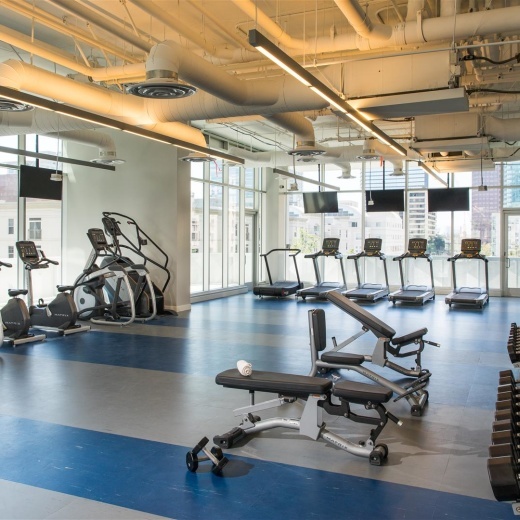 L Club, which includes an outdoor heated pool and hot tub, sauna and steam room, rooftop basketball court, expansive fitness center and more. Business travelers can take advantage of large high-tech boardrooms, complimentary Wi-Fi and 24-hour business services. This 930sq.ft. Two bedroom home boasts city views, open-concept living and a gourmet kitchen with everything you could need – from Sub-Zero and Bosch appliances, utensils, tableware and coffee maker. Enjoy in-suite laundry, a dedicated phone line with complimentary local calls, cable television, Wi-Fi and air conditioning. Sleep well in the custom king-size bed and pull out sofa bed, or curl up and watch a movie on one of two large flat screen smart TVs. Monthly rent includes weekly housekeeping service and all utilities such as, electricity, gas, water, sewer, trash, high-speed internet, and air conditioning. Close to Staple Center, LA Live and too many restaurants to mention. Pet Friendly! Call today for more information or to book an appointment.